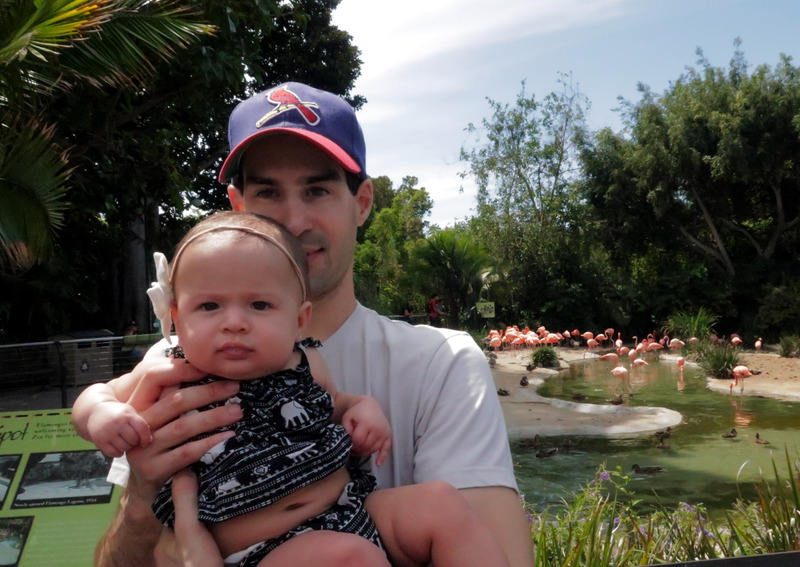 For Eva’s first road trip, we decided to drive down to San Diego for a slightly different Southern California experience than she is accustomed to. 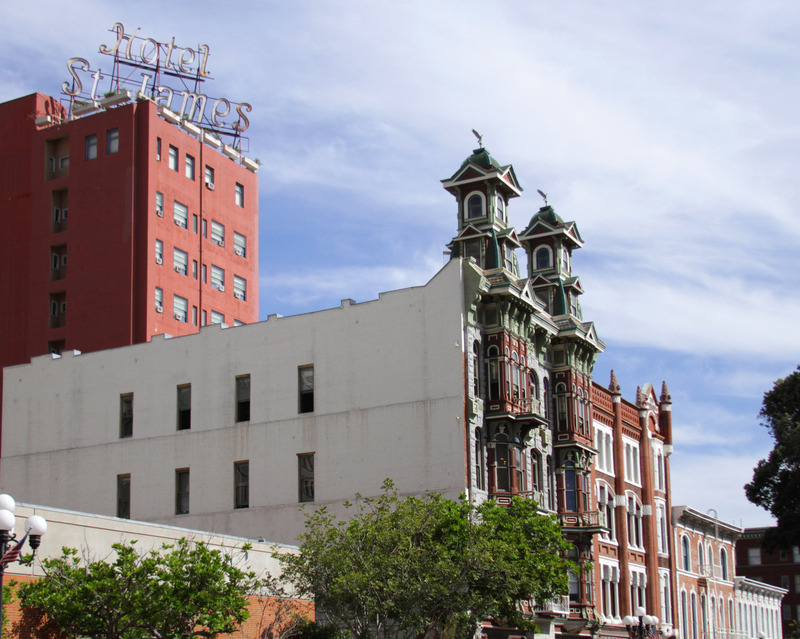 We had visited a number of times over the past few years, and we were eager to see some old favorites, as well as have some new adventures. 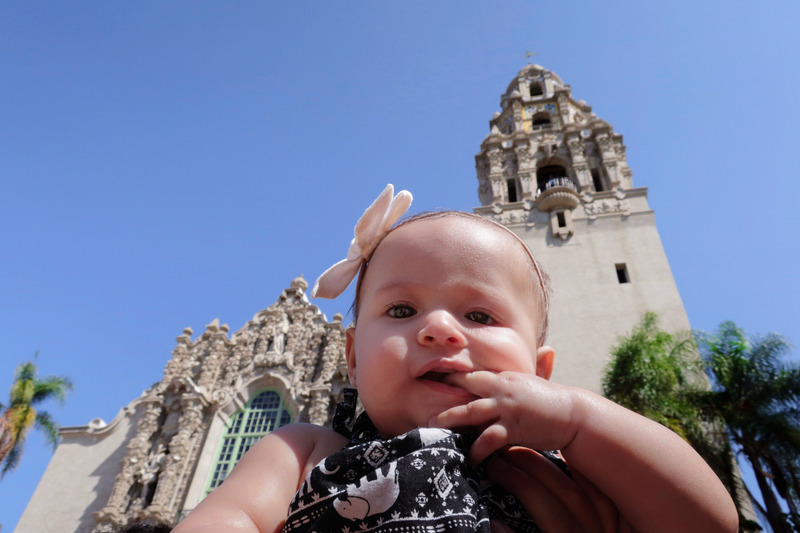 Our first stop was Balboa Park, where we were very excited to bring Eva to the California Tower, a definitive example of one of our favorite styles: Spanish Colonial Revival. 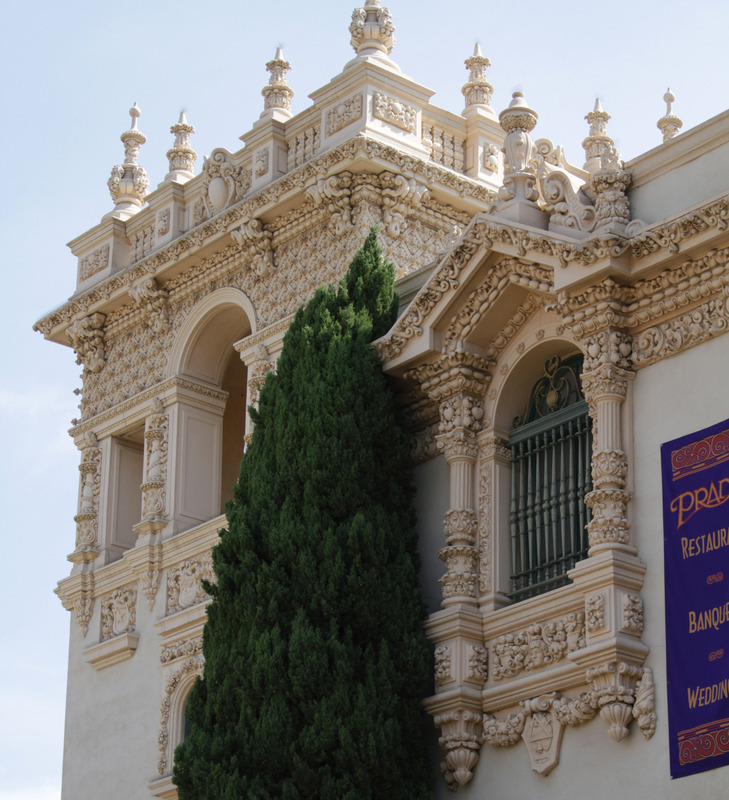 Throughout the park you can find a gorgeous array of structures that were built for the 1915-16 Panama-California Exposition. 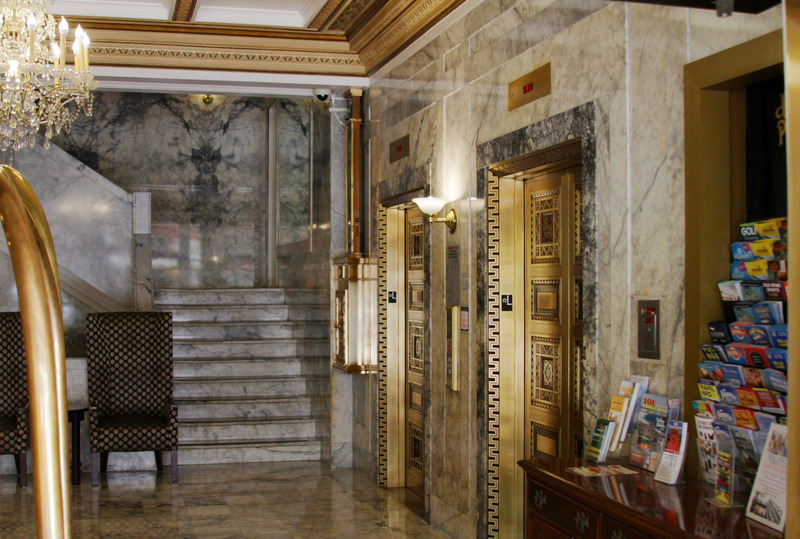 Many are original, but some are more recent reconstructions. 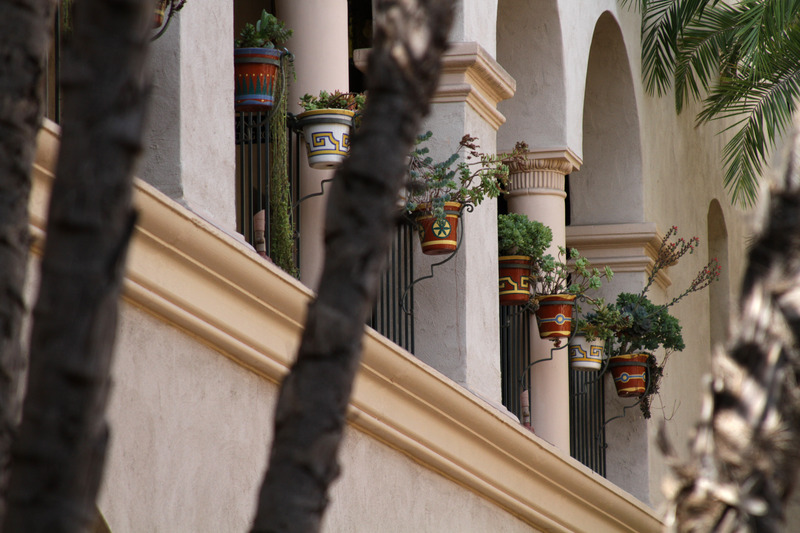 As we strolled around, we encountered several courtyards and gardens to keep cool in the summer sun. 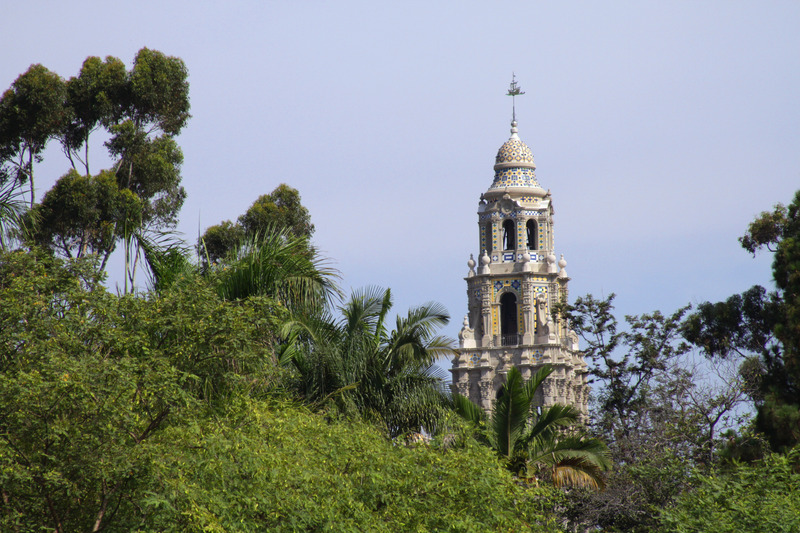 Another famous Balboa Park attraction is the San Diego Zoo. This was Eva’s first experience seeing animals other than kitties and puppies. 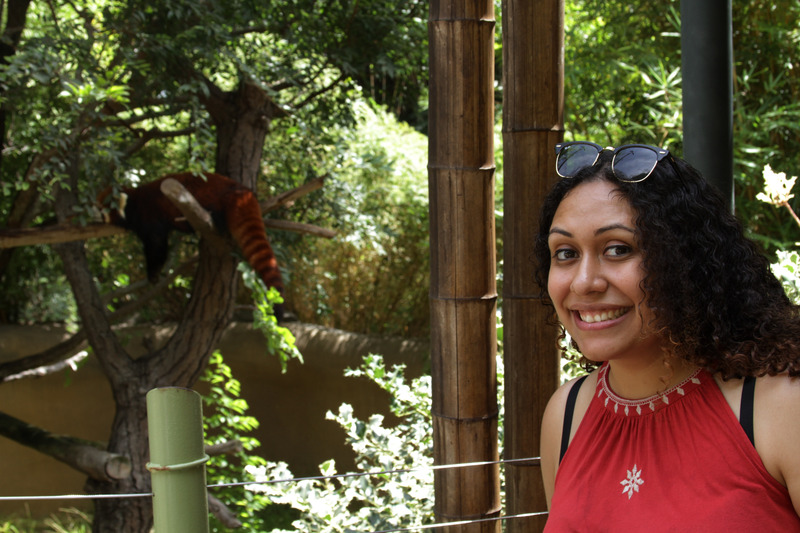 My most exciting find at the zoo was this fluffy red panda, which I personally find infinitely cuter than giant pandas. 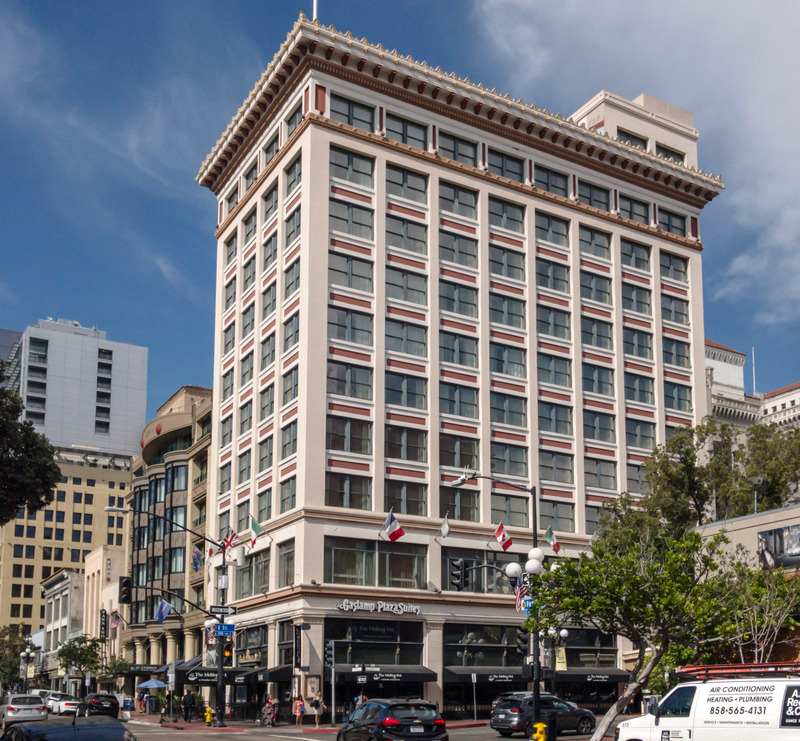 We stayed at the Gaslamp Plaza Suites in the preserved Watts-Robinson Building. This was actually our second time staying that the hotel, the rooftop view having lured us back. 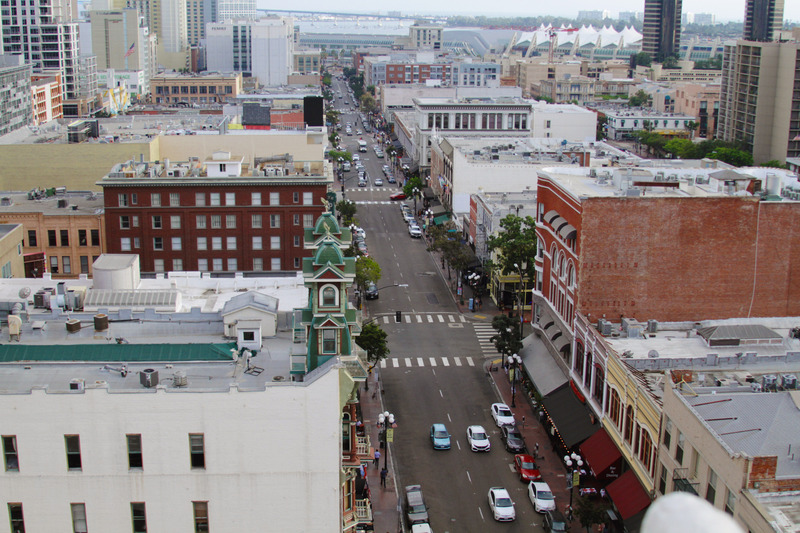 Originally called Horton’s Addition, the district now called the Gaslamp Quarter lets you walk back in time through the San Diego of the late 19th century. 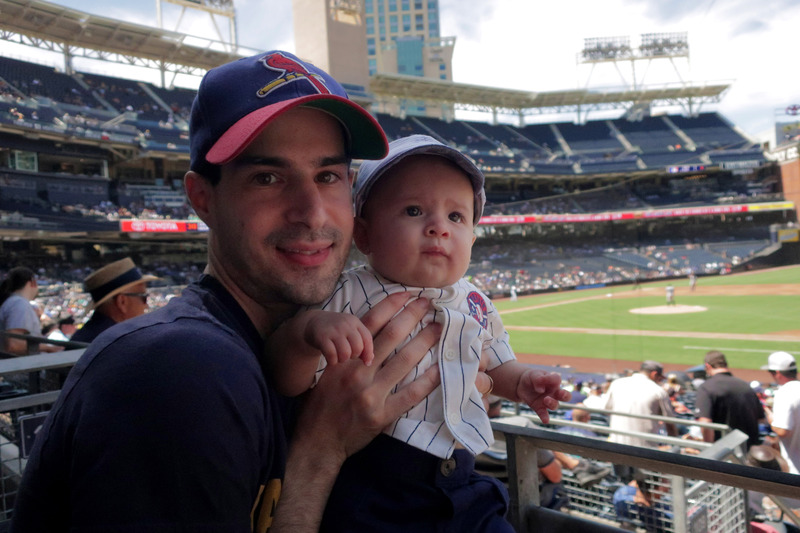 On our second day in San Diego, we took Eva to her first baseball game, with the Padres hosting the Mariners. The Padres were wearing their pinstriped 1990s throwback uniforms, and Eva was dressed in a jersey and baseball cap fitting for the occasion. 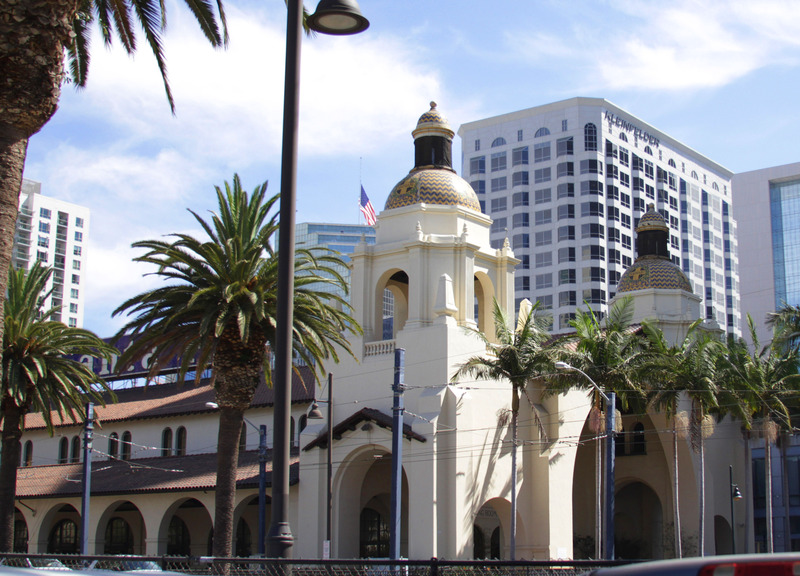 Perhaps some day we’ll take the train from Los Angeles into this elegant station rather than driving. 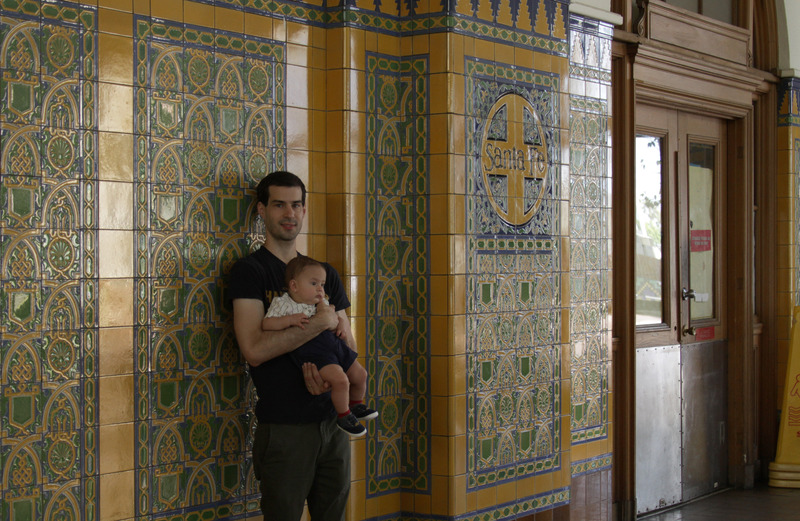 We love how the tile at the Santa Fe Depot harmonizes with the architecture of Balboa Park. 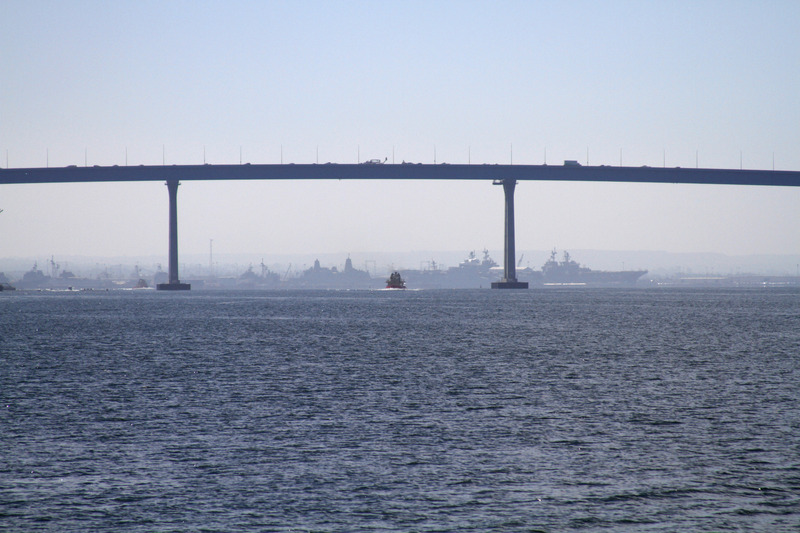 Ships from the United States Pacific Fleet are visible all throughout San Diego Bay. 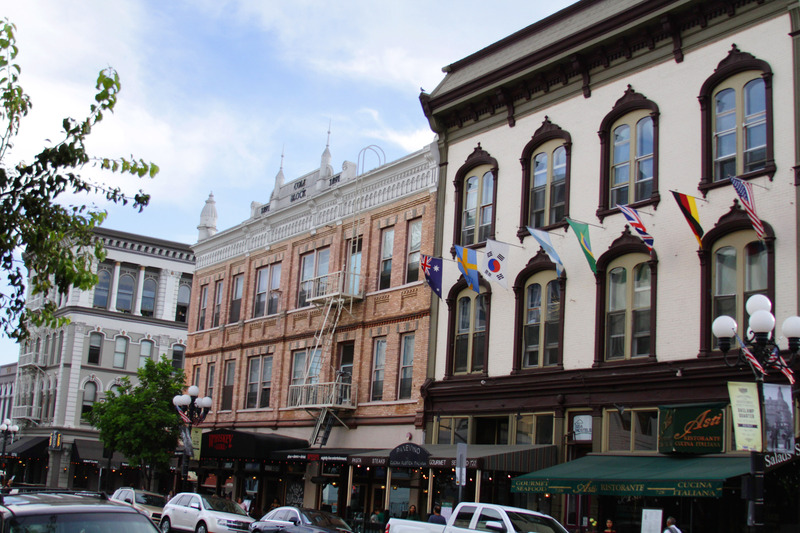 Though it was a fairly short vacation, we still managed to get a lot done and were plenty exhausted by the time we returned home. 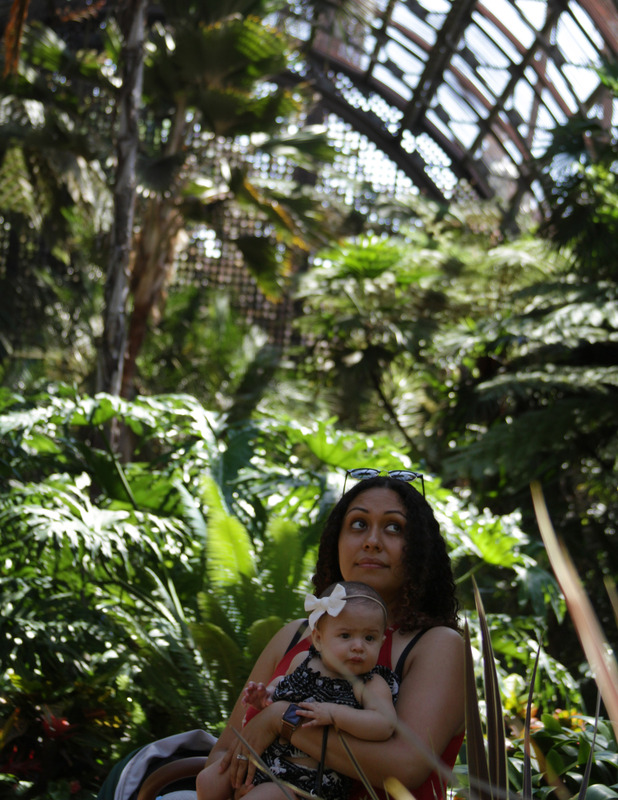 It’s exciting to see how well Eva managed on this trip, and we’re looking forward to discovering new cities with baby in the future.